As a dedicated member of the Marketing team for our South Florida region, I work closely with my team in all aspects of marketing to support our brokers and our clients in order to achieve their goals. Working in all service lines of real estate for lease or sale throughout our region, I am involved in every step of the process beginning with the creation of proposals to win new business, to the coordination and execution of the marketing campaign for new listings, ending with the final processing of closing documents. My responsibilities include the creation of quality marketing materials such as custom maps, flyers, offering memorandums and custom websites. I also track all marketing activity to provide clear and concise client update reports to ensure the client is fully informed and aware of our efforts. I am always excited when working with new industry tools to take our listings to market and have been a huge advocate for innovative tools to accelerate the success of not just our local team but that of our entire region, showing our clients and competitors the Colliers Difference. I have been in the commercial real estate industry since 2008 specializing in office and retail properties. My previous experience in property management allows me a unique understanding of commercial real estate properties and only enhances my knowledge of the commercial real estate sector. Commercial Property Marketing Certification (CPMC), Colliers University. As Senior Vice President in our Palm Beach Gardens location, I have a primary focus on investment sales of land development acquisitions, office and industrial buildings and retail centers. I have experience in transacting both performing and non-performing assets in the marketplace working with portfolio sales from the institutional, mid-market and private equity investor platforms. Collaborating with both local and national development companies, I have proven experience in structuring the agreements in the selling process of unimproved sites and creating the greatest end value for my clients. I am dedicated to continually directing principals to the arbitrage in the market in order for them to make the best, informed decisions to achieve their goals. Most recently I have worked closely with various municipalities across Florida’s Treasure Coast and South Florida region to provide accurate asset valuation and determine the critical path necessary to direct the asset and maximize value. Prior to joining Colliers I served as Managing Director of Funding Resources related to portfolio stabilization. I have also served as President of Wholesale Funding Group, where I had overall responsibility for raising private equity of distressed debt in the asset backed markets. As an Associate, my focus is primarily on investment sales and providing the highest level of service to my clients throughout the South Florida region. I am proficient in valuating assets of all property types and implementing financial analysis through Argus Enterprise and Excel. During my tenure at Colliers international, I have been involved in deals exceeding a combined value of $150 Million. I have also engaged in select landlord representation, which has only enhanced my experience and ability to fully valuate and transact both income-producing and distressed assets. My professional accomplishments include researching and analyzing historic and current data for the retail, office and industrial sectors in each submarket and creating individual, detailed reports for all three sectors in the tri-county area of South Florida. I also earned my Argus Enterprise certification to further enhance my skills, while earning my Bachelor’s Degree in International Business from Northwood University in 2015 and my Master of Science in International Real Estate from Florida International University in 2016. I was born in Munich, Germany, where I have family ties to Colliers International. My family founded the Munich office and I subsequently completed an internship before moving to the USA. 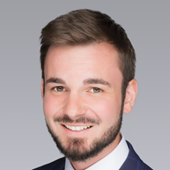 My time in the Munich office only made me eager to further my experience in the industry and drove my decision to move to Florida to pursue my degrees, while working in the Palm Beach Gardens office. As Senior Vice President, I have in-depth experience in the South Florida marketplace with a focus on landlord and tenant representation primarily in the retail environment. I have been active in the South Florida commercial market for more than 25 years, consummating numerous sales of single and multi-tenant retail properties as well as multi-tenant office and industrial buildings. Leveraging my knowledge of the market, I am able to better assist my clients in defining the best strategies and solutions for both owners and tenants in the retail sector. After working extensively with clients in sourcing their desired locations, I have established relationships with national tenants that include Cricket Wireless, Tropical Smoothie Café and More Space Place. I am also active in the sale and acquisition of land for development and leasing of retail real estate, working with developers of properties for numerous national tenants such as Walgreens, CVS, Dollar General, TD Bank, Chevron and RaceTrac. Prior to transitioning to brokerage, I gained an extensive background in the commercial financing industry through working in the family-owned commercial mortgage banking and development business, Robert Wilmoth & Associates in Palm Beach, Florida. During my tenure with the company I was actively involved in all aspects of the production and closing of investment grade commercial and real estate development loans. I also served as the Portfolio manager for the $300 million pool of mortgage loans generated by the company with both life insurance companies and pension funds. I am actively involved in the local arts community and serve on the Board of the Benzaiten Center for Creative Arts. My community involvement has also lead me to serve on both the Art in Public Places Board and the Planning and Zoning Board of Appeals in the City of Palm Beach Gardens. As Senior Vice President of Retail Services, I bring more than 30 years of commercial real estate experience to my role, assisting retail clients with urban, high street and institutional and tenant representation needs. As the retail landscape shifts, I pride myself in keeping up with the latest trends and research to support the business objectives of my clients and the evolving retails needs of consumers in South Florida. My background includes expertise in the leasing and marketing of shopping centers with a strong focus on maximizing property income and preparing properties for sale/repositioning. 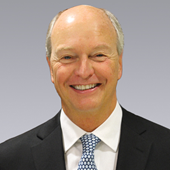 Prior to joining Colliers, I was with Konover South, where I was responsible for all aspects of leasing and marketing company and third-party shopping centers, including business development, deal analysis, annual budgeting, and creating recommendations for property improvement to the third-party owners. Some of my notable recent deals include the Lowes Home Improvement Center in Plaza at Davie, which redeveloped the shopping center. With more than 32 years of experience in the commercial real estate industry and a vast knowledge of the South Florida market. I leverage my expertise and qualifications to advise my clients on all aspects of commercial real estate from disposition to tenant representation with a primary focus is on Landlord Representation for office and medical office buildings in South Florida and the Treasure Coast. As a trusted advisor to building owners, I have a storied history of success in turning around troubled properties by focusing on their individual strengths, and designing specific marketing plans to capitalize on those strengths, to maximize the value of each unique asset. My philosophy is to build long-term client relationships through hard work and a steadfast commitment to integrity. After completing multiple transactions over a period of years with my clients, I feel that my success is defined by my client base, and the longevity of my client relationships. Before joining Colliers, I was the owner of Burst Commercial Real Estate Services, Inc., which I founded in 1996. I also served as a Broker for GMH Associates serving as Director of Marketing for the Florida Region. 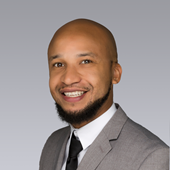 I originally began my career in the commercial real estate industry as an associate with CB Commercial Real Estate Group (now CBRE) specializing in the sale and leasing of office properties in Palm Beach County. While at CB, I was the top producer in the West Palm Beach office market and one of the top producers for CB Commercial in South Florida. As a Senior Vice President of Colliers International South Florida, I leverage my extensive experience and knowledge in land acquisitions and dispositions to our Land Advisory practice throughout Florida. Throughout my career I have been involved with more than 4 million square feet of commercial properties and over 10,000 residential units. This includes, but is not limited to, land acquisition, development, construction, leasing, management and sales transactions. With nearly 40 years of experience in commercial and residential real estate business, I have had the pleasure of completing transactions within nearly every Florida market. Most recently as a Vice President at CBRE, I was a member of the Land Services Group (LSG), where I specialized in the disposition of excess land for clients, including large tracts of commercial, agricultural and transitional land within the State of Florida. Preceding my employment with the Falcone Group, as Vice President of Commercial Development, I was a vice president with WCI Communities for nearly five years. In this capacity, I was responsible for negotiating all aspects of land sale acquisitions and dispositions throughout Florida. During this time period I negotiated approximately $500 million in land transactions much of the land consisting of the former McArthur Foundation Land Holdings totaling 14,000 acres in North Palm Beach County. I have also been involved with several CDD (Community Development District) and served on the Board of the Old Palm CDD. 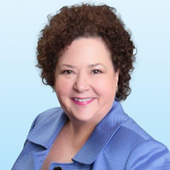 As Director on the Steering Committee of Colliers Global Life Science Practice Group, I bring 39 years of commercial real estate experience and 20 years of experience focusing on life science real estate. My acquired knowledge in life science work has been on both the landlord (Wexford Science & Technology) and the brokerage side within the industry. I have experience with Parenteral Fill Finish, Solid Oral Dosage, Biologics, and Medical Device manufacturing facilities, as well as a solid background in Laboratory Research and Development/Pilot scale facilities and controlled environments. Through my work on local, regional and national site selection assignments, I have developed a firm grasp of the rigorous process required to meet the key search criteria of my clients. My knowledge of market conditions and influences in the life sciences supports my ability to be creative in structuring the financial details of both lease and purchase transactions. My network of a wide variety of trusted advisors within the industry facilitates a regular flow of information about life science real estate trends, pricing, and comparable data for leasing and sales transactions. 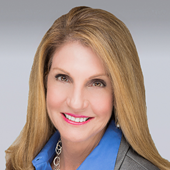 Serving as Executive Vice President in the Palm Beach Gardens office, I am a seasoned professional with a storied career with a focus on office leasing and tenant representation. I have a vast knowledge of all service lines as I have served in brokerage for almost 40 years and I believe in service excellence and making client satisfaction a priority. I will always rely on my expertise to counsel my clients in order to assist them in achieving their prime directives. Prior to joining Colliers, I served as President of the Brokerage division for Flagler Development Group where I was responsible for the leasing and management of 23 million square feet of space throughout South Florida. I also served as Senior Managing Director for CBRE for 20 years, with my largest accomplishment being the expansion of the South Florida offices while overseeing the South Florida Tri-County market during its continued growth. I also served on the NAIOP National Board for 8 years and was past President of NAIOP’s South Florida Chapter as well as NAIOP’s Florida Statewide Chapter. I enjoy continued involvement in civic and industry organizations locally to remain current on activity in the region. 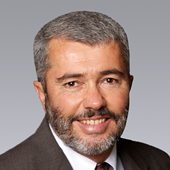 As Senior Vice President for Colliers' dedicated Health Care services practice, I bring a solid understanding of the real estate challenges corporate users encounter, having drawn upon substantive experience as an in-house director of Corporate Real Estate for multiple companies with portfolios across the Americas. I specialize in portfolio optimization, data driven site selection and reduction of downtime, size and costs, all of which have critical impact on the Healthcare and Life Science industries, on a local, regional and global scale. With previous experience in property management, leasing, sales, development, mergers and acquisitions, I am able to leverage my expertise in the entire life cycle of real estate to better serve our clients in every phase of their short and long-term projects. 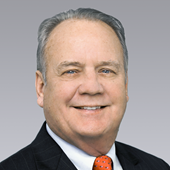 Most recently, I was a Principal with KW Commercial and founded the O’Connor Group, and held prior positions including Director of Real Estate for Tyco International in Princeton, NJ; Vice President of Real Estate for Physiotherapy Associates in Exton, PA; Director of Corporate Real Estate for Right Management, Inc. in Philadelphia, PA; among other roles in Property Management. With more than seven years of experience providing strategic marketing solutions in the commercial real estate sector, I consider myself an accomplished Marketing Manager. 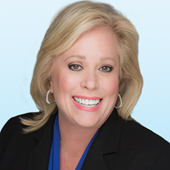 I am responsible for leading marketing for the South Florida region and supporting brokers and clients in four key marketing areas that include pitches & presentations, property marketing, positioning, and internal & external communications. I work with the market leader and some of the top producing brokers in developing impactful strategies to better position our clients’ listings. I have a knack for design and enjoy creating compelling marketing packages that push boundaries and stand out from the competition. Some of my other responsibilities include lead generation, digital and print advertising, recruitment and events. Prior to joining Colliers, I worked at FedEx Office, where I was the Store Manager responsible for the center’s daily operations, staff and revenue.